My purpose for this blog is to expedite your time spent shopping and provoke your style imagination. It is my favorite passed time to style the newest, most sought after garments from go-to retailers on a daily basis. I spend hours a day online studying what women are currently wearing from all over the world, select items that work together, and find where its selling right away. If you're selective about the clothing you wear, I carefully analyze all items I style by comfort, durability, and practicality compared to the price. Online shopping can be tricky and I'm working to minimize your need to return or exchange items after purchase. All similar or exact items I style are listed in the blog posts, so that you can easily find where to purchase the exact item or something similar close to the date it has been released. Personal style is a powerful tool to express who we are. Instead of blending in- I want to show others there's a unique way to express yourself and what you stand for through your wardrobe. Most people fail to realize how much style tells the story about our lifestyle and our deepest personal interests. My goal is to share with others how I choose to put items together in my closet to reflect who I am and what I love to do. On this blog you will find newly released items, style inspiration, honest product reviews, trending items, shopping strategy tips, personal style how-to's, fashion for figure tips, OOTD's, occasion appropriate style advice etc. Please feel free to ask me questions about an item in the comments if you're apprehensive about fit, type of material, how it wears etc and I will try and answer questions timely and concisely. 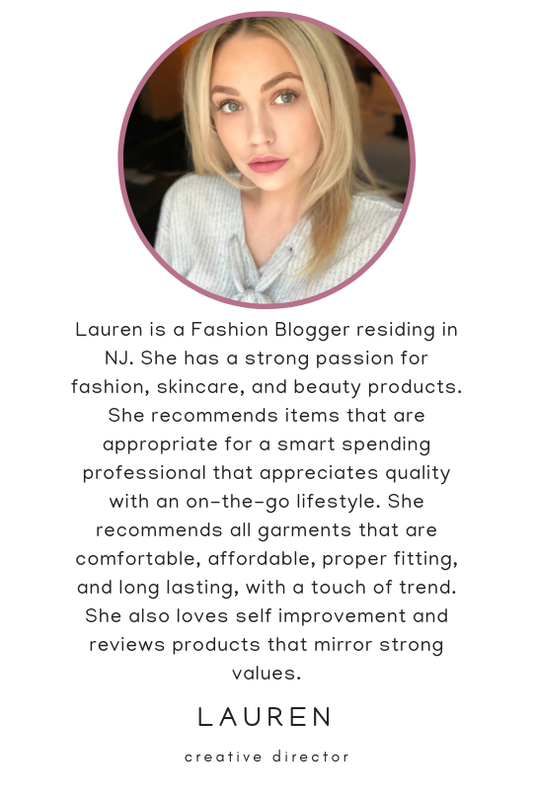 About the Author: My name is Lauren and I love to express my creativity and share inspiring garments. The reason I started this blog is to advocate that every woman should possess the courage to express her deepest passions no matter what and make great sacrifices to do so. The blog is what I do while working part time as a brand specialist for a skincare/haircare brand.